Mondesi's House: CANADA VS. THE US - WHO YA GOT? CANADA VS. THE US - WHO YA GOT? We'll keep this short and sweet - it's the most intriguing local storyline of the Olympic hockey tournament, and it's coming to fruition in the next 24 hours. 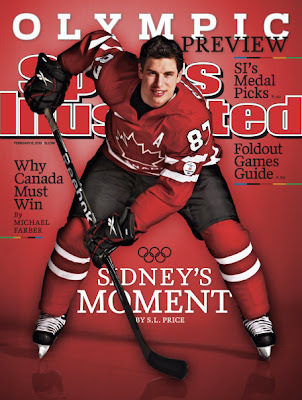 With apologies to Sid, I think most of you know where I stand on this one (and if you don't: U-S-A! U-S-A! ), but I'm more interested to hear your final thoughts as we count down to the international equivalent of a Game 7. Love ya Sid, but I hope Orpik grinds that smirk into the glass a few times tomorrow afternoon (while maintaining the integrity of his physical well-being as much as possible, of course). Blood runs thicker than water 87.